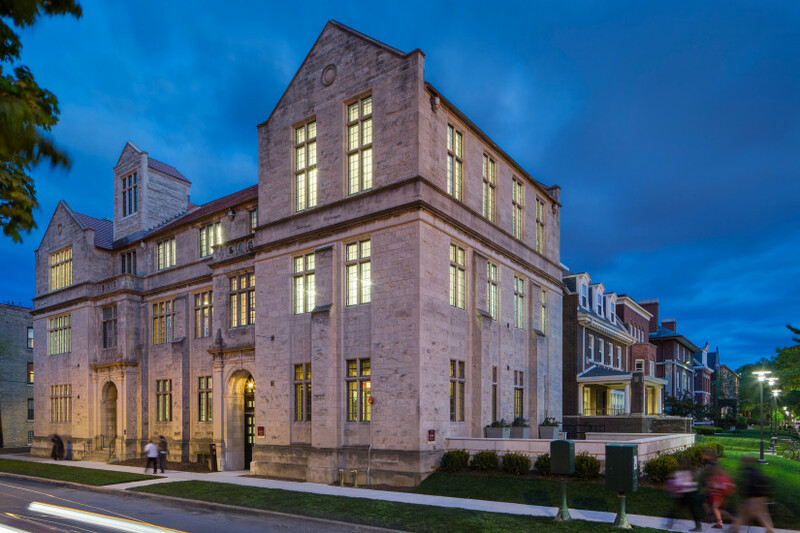 Located in a former Unitarian seminary, University of Chicago’s Neubauer Collegium for Culture and Society provides facilities for an interdisciplinary think tank and includes gallery and exhibition space, a flexible auditorium and event space and a number of spaces that favor small-group collaboration over the traditional conference room format. The Collegium supports collaborative research projects of the University of Chicago faculty. 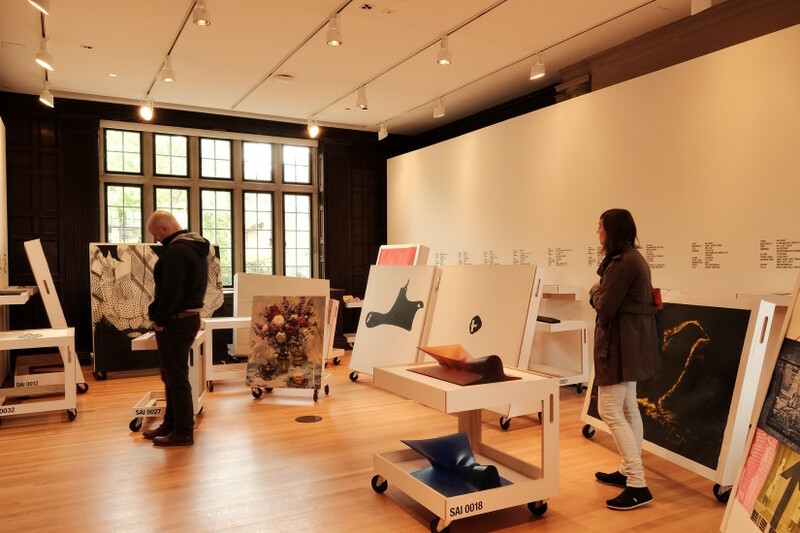 Because the gallery hosts multimedia exhibitions, the audiovisual design supports a wide variety of signal types and formats as well as output devices. Using a well-placed system of infrastructure and supports, the space integrates projection, emissive displays, playback and source systems and accompanying audio into exhibitions. 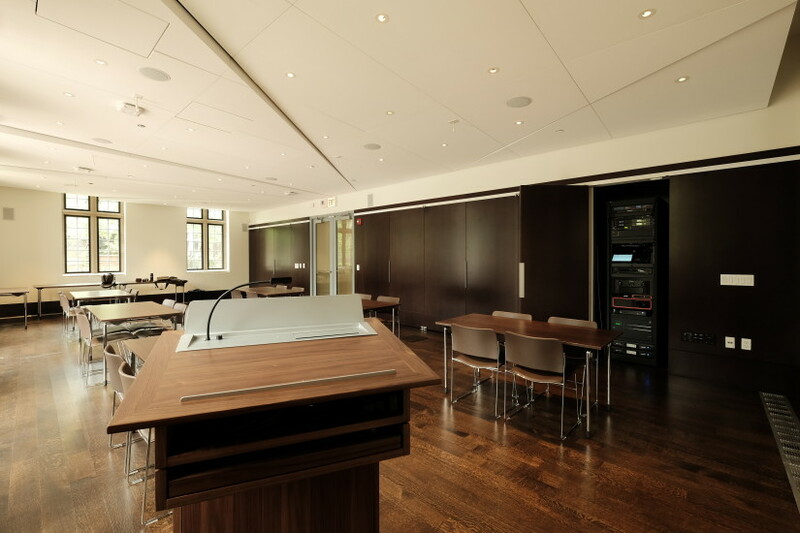 Shen Milsom & Wilke’s team worked with the architect to conceal equipment, supporting hardware and cabling from the audience, creating a seamless and uninterrupted gallery space.